Video games are not to blame for the recent mass shooting at a competitive gaming tournament in United States, Asia's top eSports body said Wednesday. 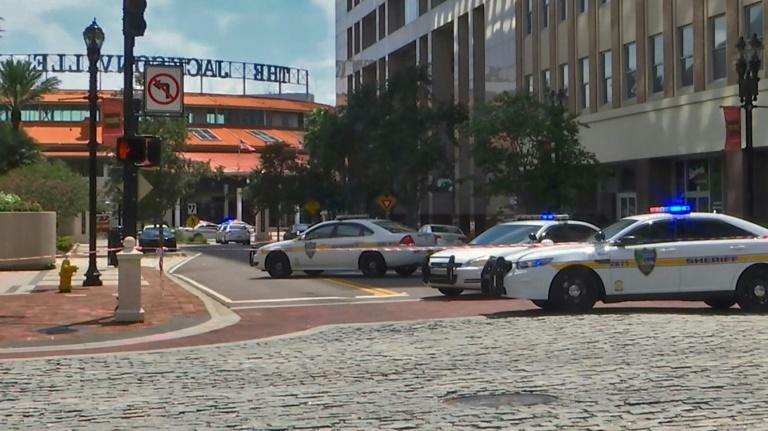 Two people were killed and 11 others injured on Sunday after a gaming competitor went on a shooting rampage before turning the gun on himself at a tournament in Jacksonville, Florida. It was one of more than 230 mass shootings to have occurred in the US so far this year, according to the Gun Violence Archive. In the aftermath of the killings some conservative and gun lobby commentators -- many of whom oppose tighter restrictions on weapon sales -- suggested violent video games should be blamed for the latest murder spree. That view was rounded on by Asian Electronic Sports Federation (AESF) chief Kenneth Fok in Jakarta, which is hosting a milestone eSports tournament as competitive gaming seeks Olympic legitimacy though an Asian Games exhibition debut. "A tragedy like this should never happen," he told reporters. "It was a very unfortunate incident that happened in a video game arena, but does this mean that eSports or video games are to blame? I don't think so," he said. "I think it is a bigger issue of gun control and also the access to guns," he said. The Jacksonville shooting occurred during a Madden NFL 19 Classic tournament, the latest edition of the video game series named after retired NFL Super Bowl champion coach John Madden. Tournaments of various styles of video games have grown in popularity world wide in recent years, with shooting, strategy, and fighting for multi-player teams evolving into major arena events. Asia has lead the boom, with South Korea considered the pioneer of competitive gaming and China the world's largest gaming market. The AESF are seeking recognition alongside traditional sports with its Asian Games debut, with an eye on one day appearing at the Olympics. Last year International Olympic Committee chiefs declared that eSports could now be considered truly "a sport", but that violent or shooting games could never be considered for inclusion in any future Olympics.